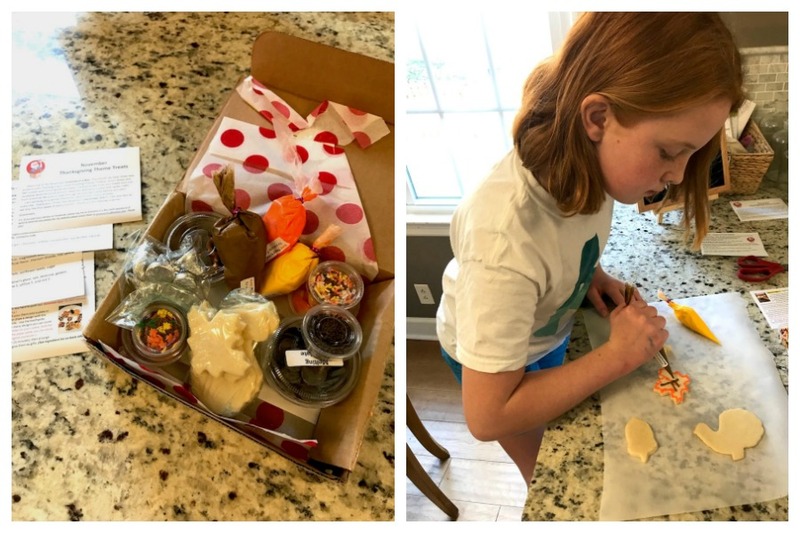 We’ve tried a lot of cooking subscription kits for kids here at Cool Mom Eats, but a new subscription we just tried called Gramma in a Box is one of the easiest and most fun we’ve tried so far. I highly recommend it for kids. Well, kids who love their sweets. Gramma Terry Chamerlain created this subscription as a way to connect with her grandkids — she’d send them boxes of baking supplies, and they’d decorate them together over Skype. How adorable is that? Now she’s expanded it, so any kid with a sweet tooth and a love of baking can get in on the fun too. 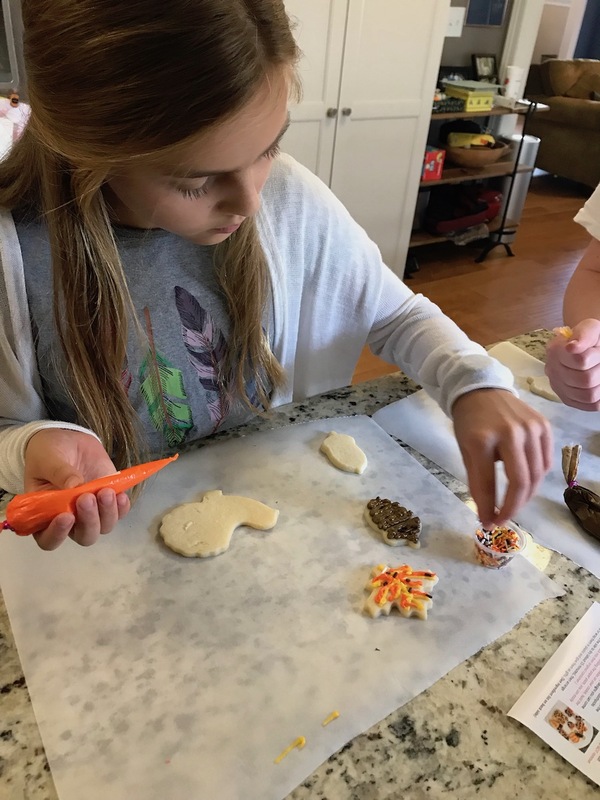 While this service doesn’t necessarily teach your kids about baking — look to Raddish or KidStir for that angle — this does provide a super-easy way for you to get in the kitchen with your kids and make festive, seasonal treats for the whole family to enjoy. And who knows, maybe your kids will develop a new passion. Each package comes with one cookie decorating activity, and two candy treats. And the first thing you’ll notice is that this cute little package looks like Gramma actually packed it up for you. It feels homey and personal, not at all like one of the more generic, big-company kits that you can try. I love that. I give big bonus points for the fact that the cookies arrived already baked, with royal icing pre-packed into piping bags that are just the right size for my 11-year-old daughter to manipulate easily. In other words: all the work was done for me and she could start decorating immediately. 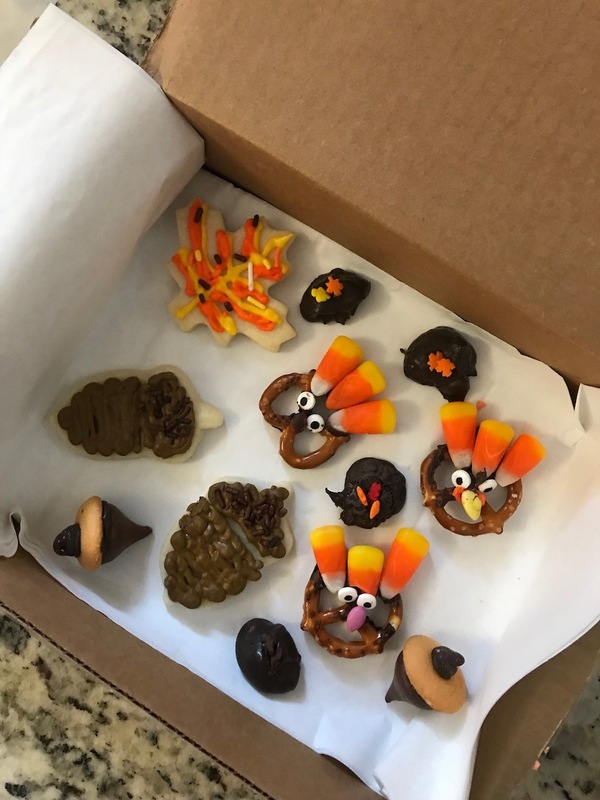 In addition to the sugar cookies, the box also includes ingredients to make pretzel turkeys (It was Thanksgiving themed, for November) with melting chocolates, candy corn and candy eyes. The third treat was candy acorns, a toddler-to-teen-friendly project made by using the melting chocolate to attach chocolate kisses to tiny vanilla wafers. Related: 4 of the best subscription cooking kits for kids. My daughter and her friend spent a good hour decorating (and yeah, eating) these goodies, and the results are pretty enough to give as a gift. Well, if they have any left at the end. You can order a 1-month, 3-month, 6-month, or 12-month Gramma in a Box subscription for your kids at their website. It makes a really great Christmas gift they can keep enjoying all year long. Thanks to the company for sending us one for editorial consideration.